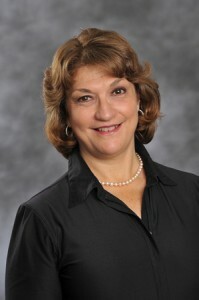 Patricia Brigham Braja, is the first Director of Development at Westchester Library System. Pat’s love of libraries began as a high school student growing up on Long Island – where nearly every Saturday afternoon was spent in the old Syosset Library by the train station. A resident of Peekskill, NY, Pat has worked in the Westchester/Putnam nonprofit community for nearly 20 years, as director of development, senior campaign manager, consultant and board member, both in the arts and social services. Prior to her career in development, Pat was in the consumer banking field, and held the position of Assistant Branch Manager for the former People’s Westchester Savings Bank in Ossining, Armonk and Tarrytown. After moving to Putnam County in 1982, Pat helped create the Kent Library Friends Association. She has taught arts management and fundraising at Purchase College, Westchester Community College, and Concordia College, and has presented for numerous workshops and panels on fundraising. Pat has a BA in Fine Arts from Rider College (now Rider University) and a certificate of Arts Administration from Purchase College. Pat participated in the Volunteer Center of United Way’s Leadership Westchester program 2005. Today, Pat balances life and work with community involvement, serving on the Lifetime Arts, Inc. board of trustees, and as chair of the Chapel Hill Book Club in Peekskill. Pat enjoys yoga, cooking, reading, cultural pursuits and spending time with her daughter Katie and son and daughter-law, Michael and Jelena.